For prepaid memberships, create a new product for each prepaid membership you will sell at POS. From Data Entry, click Manage --> Products --> Add Product. When creating the products, assign a product type of Member to each product. Put the number of members this product is designed for in the Required # of People field (example, a Prepaid Month - Family (4) membership would have “4″ in the Required # of People field. It is also recommended that you assign a sub-account type of Prepaid to prepaid memberships. 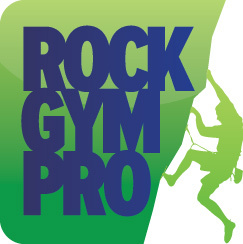 Rock Gym Pro comes with three “built in” EFT products: Monthly Dues, Prorated Dues and Membership Freeze. These are special products; you cannot delete them and you cannot assign a price to them when editing products. The monthly dues and membership freeze products are invoiced to customers as part of the monthly billing. The prorated dues is a product that is sold at POS when a new EFT member signs up. Instead of adding new products for your EFT memberships, you configure your various EFT dues levels in the Settings. From Data Entry, click Manage --> Settings. In the Memberships tab you can manage your list of available EFT dues. This list of dues will be displayed when editing a customer and when selling prorated dues at POS. If your dues are subject to sales tax, do not include the sales tax in your dues amount. If your gym has start up or enrollment fees, you’ll want to create products for these so that you can sell them at POS. If your monthly dues are subject to sales tax, you will need to mark them as taxable. From Data Entry, click Manage --> Products. Click Edit Product for Monthly Dues, Prorated Dues, and Membership Freeze products and mark each product as taxable. When dues are posted each month, sales tax will be added as a separate line item on the invoice assigned to each customer. When signing up a new EFT member, your staff member will sell a Prorated Dues and Startup/Enrollment product. Your staff member will then edit the customer record and select the customer’s dues from a list of preestablished dues. For family memberships, you’ll need to distribute the dues across all the family members. For example, $50 for the first member, $40 for the second, and then $10 for each additional child. The primary member will only see one transaction for the month (the sum of all the dues), but each member will have an appropriate invoice added to the account and a single payment will pay all the invoices. Dues are required on each member since Rock Gym Pro needs to know how much to subtract if an individual member is frozen. To maximize your ability to analyze and report on all of your Income/Revenue Accounts, such as membership sales, be sure to assign revenue accounts and subaccounts to your membership products. For example: all membership products should have the same revenue account with subaccounts like Prepaid, EFT, etc.